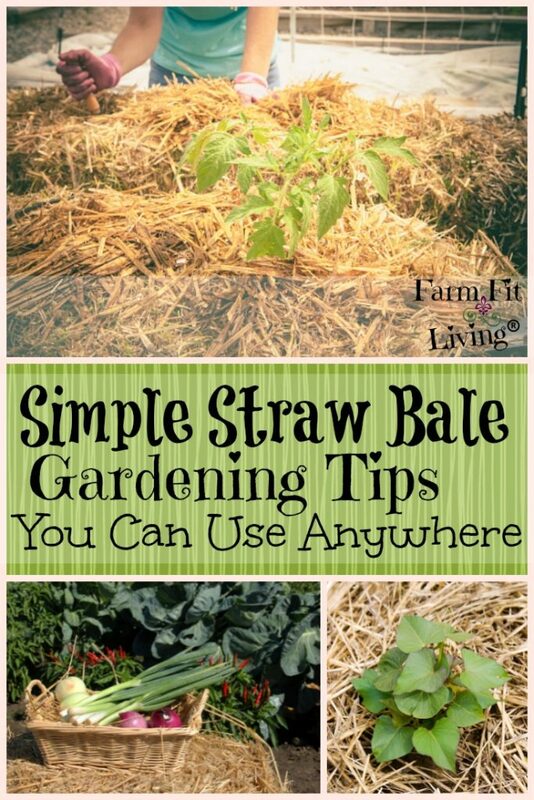 Wish you could have a garden but don’t have time, space or physical ability? 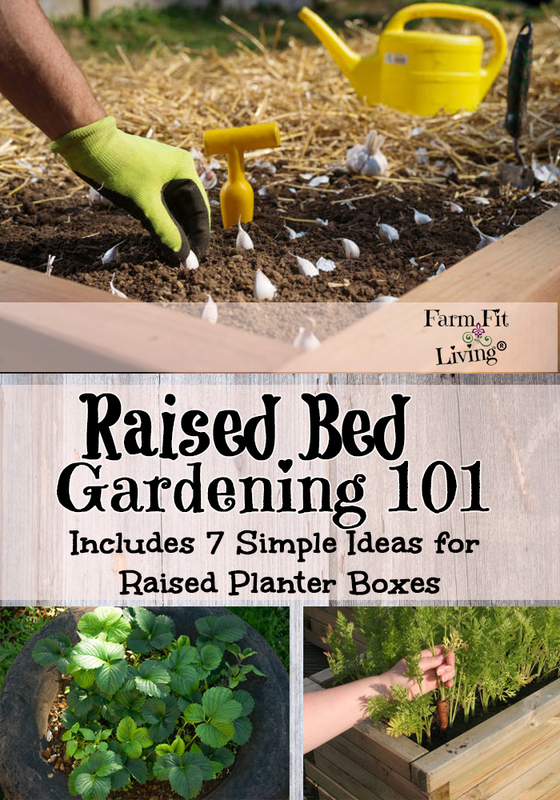 Welcome to Raised Bed Gardening 101! * What garden soil to use. * Really why raised beds for vegetables are so popular. Just some reasons why you might want to try raised bed gardening. I’m going to try to make it really simple for you. 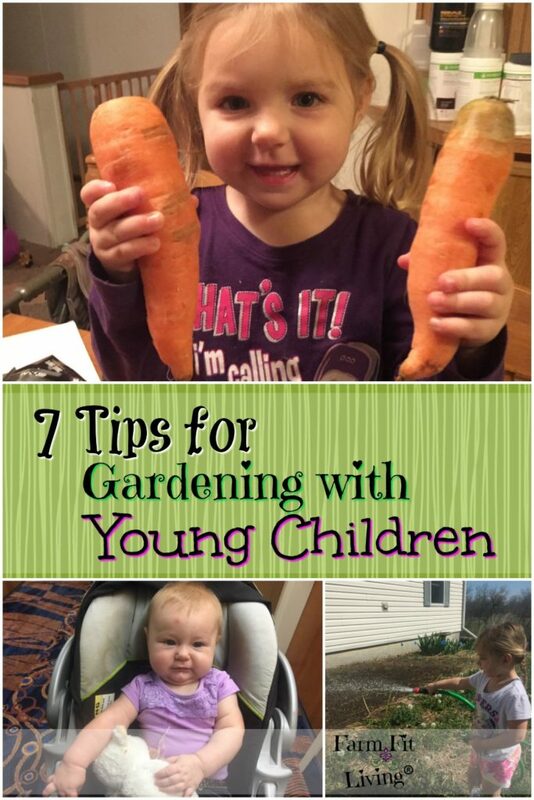 You can even get a printable pdf of my 7 go-to garden ideas I use for my raised bed gardening! The first reason you might be interested in a raised bed garden is that you can save a lot of space with raised beds. You can make the raised beds however big or small you want. Place planter boxes in areas you might not be able to till up and use for a regular traditional garden. This is really helpful you maybe didn’t realize or think about that you can do. Another reason you might want to use raised beds is maybe your soil, your natural soil, where you live is not ideal for a garden. So by using and bringing in a raised bed frame and adding soil into it, you can pick and choose what type of soil you put in your raised beds. You can build your frame and make it any shape and size you want and then add really high-quality soil to it later on. The third reason why you might be interested in raised beds is that maybe you don’t want the back busting work of bending over and pulling weeds and maybe you just want to stay upright and be able to do that. I can tell you from experience that gardening and garden management with raised beds is so much simpler than traditional gardening and bending over. If you’re older or if you have back trouble or sore muscles, then raised bed gardening, just might be the ticket for you. It’s really not as labor intensive and you can still be out there pulling weeds and tending to your crops. A few of the main reasons that I see people going after raised beds, you know, time is a huge factor and space and resources, but your reasoning might be something totally different. There’s a lot to love about raised beds. If you’ve made your decision, let’s go into how to design and create your raised beds. The first thing you need to know is how much space you have and how many different raised beds you want. I’m all about frugal raised bed gardening that is functional as well. You could have a raised bed for certain crops that you want to grow. You could have one for tomatoes, another one for lettuces, another one for carrots. You know, something where you’re growing different rates, different crops and all different raised beds. 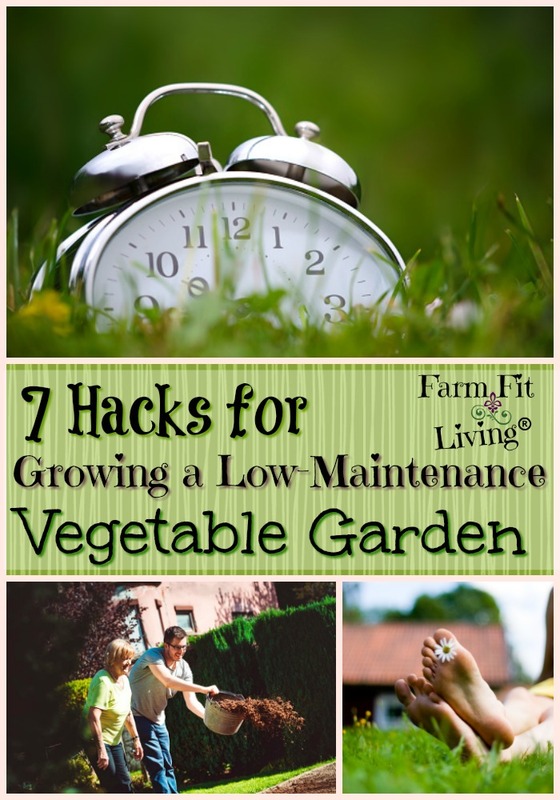 That’s a really great idea because you can control the raised bed gardening soil nutrients and the soil Ph when you do that for different vegetables. So you want to choose a container that fits your space and your needs. I remember growing up we had raised bed frames that were made out of wooden railroad ties from the railroad. I actually grew up not too far from the railroad in North Central Kansas, so we asked permission to go grab some old railroad ties and they told us we could. We then made our raised beds out of old railroad ties. I have a quick tutorial for how to do this in my free raised bed gardening ideas that you can get below. We have also used old feed bunks and big tractor tires to make our raised beds, which is really kind of cool. I love using the tractor tires because you get a round shape of the raised bed. 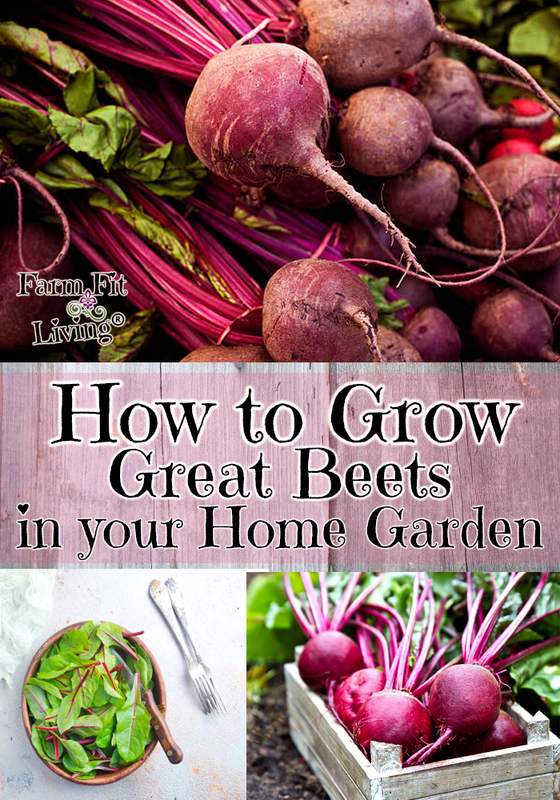 It’s really neat to grow pretty veggies such as beets with they’re pretty purple beet tops and radishes and onions and different round vegetables like that. It makes it fun to grow those. Honestly, the type of container you use is endless. The possibilities are endless and you can use your imagination to create something really cool. You can use something pre-treated or treated, but the thing that you want to make sure is that it’s cost effective because of the amount of soil you put in, you’re going to want to fill it to the top, so you want to definitely keep that in mind too. 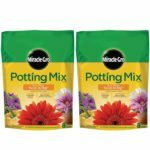 This is the potting mix I like to use for mixing and filling in. What’s the best soil for raised beds? If you have good traditional soil, but maybe you don’t have the space for a garden, I recommend to ask a neighbor or a friend that has good garden soil. If they could bring some in and fill your planter boxes. This is going to be cheapest way to go for filling up your planter boxes. Now I have no idea what the cost would be for you to do that. It would probably just be negotiations between you and this person or better yet if they could just do it for free. The most expensive route would be to go buy potting soil from a garden place, but our garden centers that have a lot, you know they have the organic tree bark potting soil in bins just waiting for people to come and fill their truck. Or you can come and fill a truckload. It’s going to cost you quite a bit of money. Again, I don’t know the amounts, but every garden center is different so you’re just going to have to go shop around. There is a way you can meet in the middle and that is to do half of the potting soil and the traditional soil. You can get some of each and mix them and then fill your planter boxes that way. And that is a good happy medium. Some of my planter boxes I’ve had for a few years now and the soil has settled. We just use some of our traditional soil out of our main gardens. We just fill the tractor up and then dump it in, over time that soil will settle and we need to fill it back up again. You can just take some potting soil and fill it the rest of the way to the top. We feel like that’s the easiest way to go for us. You want to keep the beds as flat as possible. You know, some of you live on very hilly ground, the terrain might be hilly where it causes you to garden on a slope. The best thing that I can tell you is to maybe make your raised bed bottom a slope as well to where the top of it is flat. This might cut into your growing area, you’re growing depth, but you want to try to keep your planter boxes flat as possible to keep your plants or whatever you’re growing from leaning or the water draining out of it every time you water it. 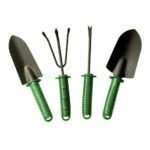 This hand tool set is what you need for simple raised bed gardening! You definitely want to have nice fluffy soil in your planter boxes. So using that mix of the potting soil and the traditional soil will help you to do that. I feel like the more room that the root crops have to move around, then the better and the bigger they’re going to grow. And that has held true for me. I’ve had really, really good success with carrots. Onions have done really well as well as beets. One thing you want to keep in mind is watering. Raised beds tend to dry out a lot faster. This totally depends on the soil too. You’re going to want to keep that in mind to check the soil dryness with your finger, see how dry the soil is. If it’s cracked on top, it doesn’t necessarily mean it needs water. You still want to check because there may still be some moisture underneath and you don’t want to give it too much water. You can drown plants or you can dry them out. You want to stay in that happy medium to where the plants are getting enough, plenty of moisture, but then typically it’s going to look a little bit cracked on top, especially if the weather starts getting hot, super hot. That’s going to cause the tops to crack. You can take a tool, like a little spade and kind of break up that the top of that soil. Just make sure that you don’t hurt any of the roots of the plants when you do this. I found raised bed gardening to be very supplemental to my farmer’s market business. Again, I’m a veggie grower. It started out of a love for gardening and a love for sharing. My produce has turned into a business and raised beds have really supplemented my garden spot. We are at capacity on our 80 acre farmstead. We have pasture, we have livestock, we have a huge slope on our yard and we have two acres of garden for the market. But we’ve been able to add in some supplemental raised beds in order to plant veggies that don’t need a lot of room and that I can grow a lot more of. As I’ve mentioned, raised bed gardens are a fantastic way to achieve your gardening dreams with limited space, resources, or physical abilities. 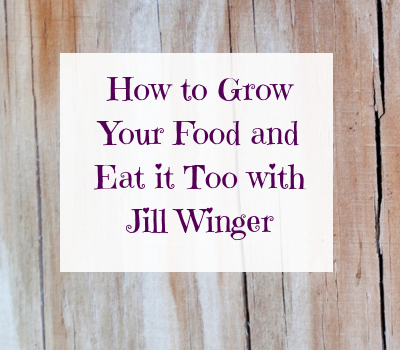 Whether you’re growing a vegetable garden for your family or supplementing your produce business-the options are limited only to your imagination. These beds are some of my favorite on the property since they’re a little easier to care for and my girls can be a bit more involved in the process. We’ve even grown herbs for our home in our raised beds. I hope this episode has inspired you and has you considering a raised bed for your own garden. Again, see below for my favorite vegetable planter box plans just for you.